Since we have had a look at the main differences between the most common constructions in surfboards today, Polyurethane/Polyester (PU/PE) and EPS/Epoxy, we can now take a look at the different construction methods widely available (in no particular order) and what they will do to your boards performance. In the DHD Surfboards factory with shaper Darren Handley. Future Flex, consisting of parabolic carbon reinforced rails, combined with a high density EPS blank and very high quality Epoxy Resin and quad-axial cloth. The blend of these materials translates into a very lively feeling board with lots of projection. The flex and spring back effect of the board gives you a ton of drive and speed. This type of construction has a unique spring back due to the minimal twisting that can happen in other constructions, helping to store and release energy more efficiently. They have a slightly different feel than boards with a stringer under your feet, but once you get used to it, you learn to feel through the board better. The Haydenshapes Hypto Krypto is often ordered in this construction. Hydroflex 3D Glassing is a specific method that virtually eliminates the chances of de-lamination of the skin (fiberglass and resin) from the core (foam). They have found a way to literally anchor the skin into the core instead of it just sitting and stick on top of it. This has more affect than just eliminating delam, is also results in an extremely lively and responsive feel to your board. Hydroflex boards use a high quality Epoxy resin which is stronger and more flexible and Polyester, and gives you a better spring back while being less prone to cracking or delamination. These boards keep their youthful exuberance much longer than most constructions. Carbon Wrap Technology, exclusive to DMS and Lost boards in Australia (for now), is again a stringers blank with the strategic placement of carbon bands on and around the board. By wrapping these carbon strips around certain areas of the board, you get a feeling of surfing a board with a lot of “pop”. Flaring the carbon out towards the rail and wrapping it around, allows the board to use it’s contortional twist and translate it to a superior flex giving you more drive when coming out of turns. That added drive with a unique flex patten out the tail gives you a next level feel to your surfing. 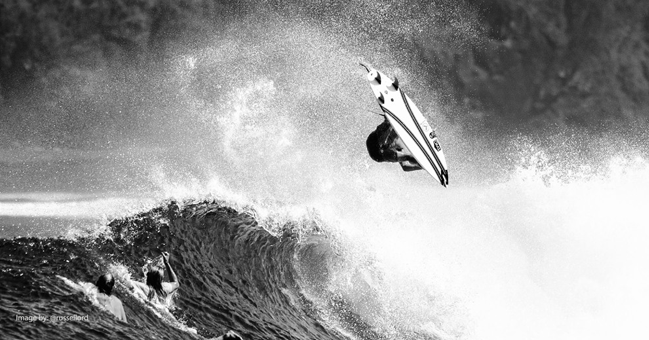 Getting some air with a DMS Surfboards model in Carbon Wrap technology. USC Construction, or “Ultra Stringerless Carbon” construction may be similar to other parabolic carbon boards, but really set’s itself apart by the unique blend of materials and placement of the carbon. With USC, you are using a stringers blank, but a PU blank instead of EPS. The carbon is also laid around the perimeter, but more on the deck instead of wrapping under the rails. The PU blank gives you that familiar feel we all know and love, while the parabolic carbon layout adds more speed, drive and flex. Combined with a unique “bio” Polyester resin, these boards lower their carbon footprint while giving you a board you can feel comfortable on as soon as you jump in it. 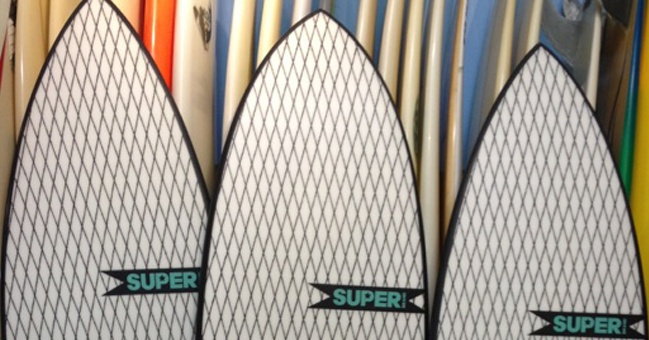 SUPERbrand Surfboards brings you their exclusive SUPERflex technology. The use of a high quality stinger-less blank with a carbon netting along the bottom of the board and carbon reinforced rails. A unique feel in itself, the technology has a superior flex pattern with a quick release for your high performance surfing. The technology behind Varial Foam may be new to the Surf Industry, but it has been used in aerospace and automotive applications for quite some time now, from rocket ships to race cars. This unique foam has a tighter cell structure and a consistent density throughout, and can be used with either polyester or epoxy resins. The strength of the foam actually requires no stinger or any other type of reinforcement other than glassing your boards as standard. Maybe a small carbon strip for big wave guns to stiffen it up a bit. It is very lightweight with a great flex and springback unlike anything you have felt before. Now really starting to make it’s impact into our beloved industry, you can add this to you options between PU and EPS as your core. An Album Surfboards model with hydrofelx construction and a varial foam blank making this little Symphony look real nice. All the constructions above have patents on how they are constructed, not the individual materials themselves. With that said, there is still a lot of room for experimentation using and combining these materials. Carbon tape can be used in many ways. Throw it down the center of a board either top, bottom or both, and help stiffen up a board that might be too flexible for it’s intended purpose, or just to simple add strength for a longer lasting board. You commonly see strips of it on top of the rails at the tail to help prevent the deck from crushing when doing powerful bottom turns when pushing from your heels or toes. Or, like mentioned numerous times above, around the perimeter or wrapped around the board in specific ways to help control flex. The possibilities are endless. Vector Net is a woven carbon fiber netting that resembles diamond shaped patters. A great way to help reinforce your board while keeping weight down. You can also use this to alter flex patters, or provide structure and longevity for heavy footed surfers. A few Eye Symmetry board models that make use of Magic Fibre construction. Carbon strips underneath and a net on the deck. Bamboo acts as a great alternative to carbon fiber. 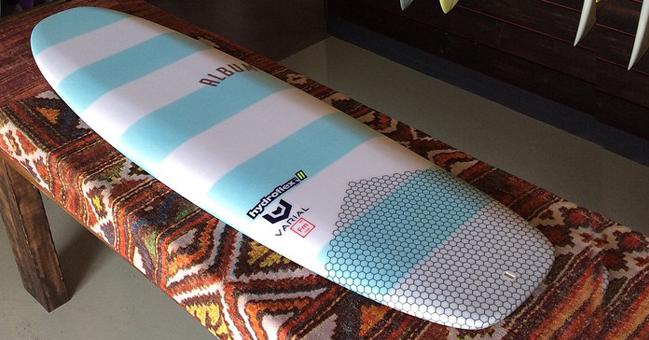 A great replacement when you are trying to create a more sustainable surfboard. Usually found on Epoxy boards as a thin skin over the blank which can then be glassed over lightly. This also helps to reduce the amount of fiberglass and resin needed, again adding to the sustainability of your board while keeping performance levels up. Cork is also a unique alternative usually in epoxy constructions. The cork can help to dampen the twitchy feeling you can have on an Epoxy board, and there is almost no need to wax. Vacuum bagged to the deck of the board that has already been lightly glass, the cork remains exposed, giving you a unique feel under foot and in performance. Added bonus of no more wax on you car seat. Going stringer-less all together can result in a super fun board. Going this route really allows your to feel the wave through the board, giving you more of a feeling of riding with the wave instead of surfing on the wave. Sometimes found with retro inspired Fish designs to help bend, flex and project you around on mushy days. Using this method on Longboards gives you a totally unique flex pattern when surfing from different parts of the board like from the nose, the middle of the board or off the tail. 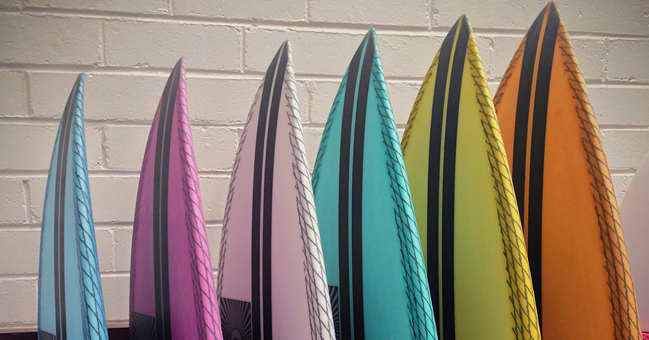 This is just a look at some of the materials that can be used in surfboard construction. We are not trying got favor one over the other, they all have such unique features that play out in different ways. Most of these can be found on certain brands throughout Boardcave, but there are many more patented and patent pending designs floating around in the surf world that we have not even touched on. The idea behind this article is to just open your mind a little on what can be done with surfboard construction, and why some of these common materials can do for a surfboards performance. Just like everything else surfboard related, there is an endless combination of designs, materials, constructions and methods that can be played with and have yet to be found still. That’s what we love the most about surfboards, the best is yet to come and the possibilities are endless. 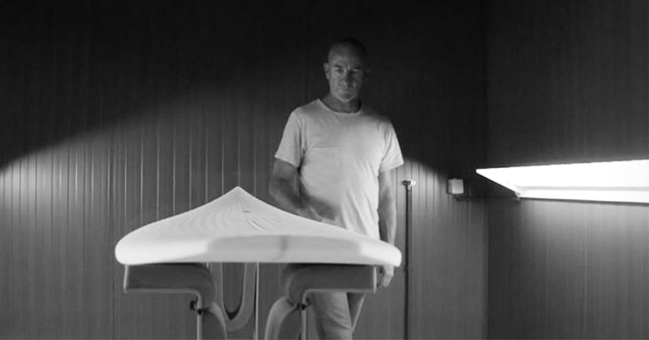 Surfboards will always continue to evolve!